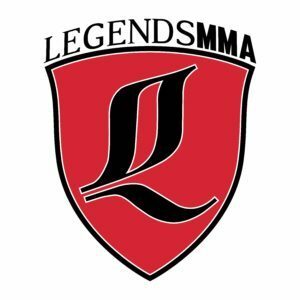 The iconic Legends MMA brand has been bought by Mark Bradford, Founder of Clube Hollywood, who intends to relaunch the brand and open second school. LOS ANGELES - Feb. 18, 2017 - PRLog -- The new year marked a new beginning for the iconic brand Legends MMA. Mark Bradford, a 1st Degree Black Belt and life long martial artist bought Legends MMA and has his sights set on redeveloping the property that has served as a launch pad for many fighters who have reached the top competitive levels of the sport. "I've seen such growth in the quality and focus of my students at Clube Hollywood," said Bradford, "assuming the Legends brand was the right time and fit to push that growth to the next level. Our instructors have shown a level of excellence that is reflected in the wins our students are capturing at all levels of competition from local tournaments in the IBJJF Worlds and ADCC Trials and others, such as Gabby Romero, are stepping into the professional ring." Legends MMA was Launched in 2004 by former Muay Thai fighter Chris Reilly under the auspices of the Bomb Squad. The brand was renamed to Legends MMA in 2006, with a focus on Muay Thai and Jiu Jitsu with partners Randy "The Natural" Couture and Bas Rutten. Bradford understands, as his predecessors and Founder of Clube Hollywood, the need for an easily accessible, full-fledged MMA gym. Mark Bradford began his grappling training under World Famous MMA Trainer Greg Jackson in Albuquerque, NM. Through Greg, he met Brazilian Jiu Jitsu Black Belt World Champion Alberto Crane. He began his training in the Brazilian Jiu-Jitsu discipline and progressed from white to black belt under the watchful eye of Professor Crane. The former Head Defensive Tactics / Use of Force / Physical Training Instructor for a federal law enforcement academy, Bradford has worked as a law enforcement officer for the last 18 years. He is also a Cooper Clinic Certified Personal Trainer (CPT). CrossFit Level 1 Instructor, CrossFit Olympic Lifting Instructor and Certified Russian Kettlebell Instructor under Pavel Tsatsouline. Bradford shares that there are plans in the works for a new facility and they will be actively recruiting fighters in the upcoming months. Legends MMA owner, Professor Mark Bradford, currently serves as the Head instructor of Clube Hollywood. For more on Legends MMA, please visit http://www.LegendsMMA.com, for more on ClubeHollywood.com please or contact LegendsMMA@ppmg.info or ClubeHollywood.com for interview opportunities.